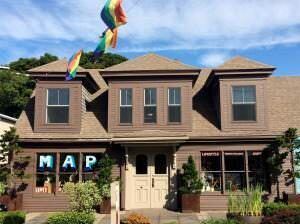 Provincetown Neighborhood Snapshot – Downtown. Published on October 9, 2018 in general info. 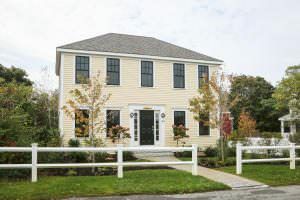 Closed Tags: Cape Cod condo sales, Cape Cod Luxury condo sales, Cape Cod Luxury homes, Cape Cod new construction, Cape cod real estate sales, Provincetown condominiums, Provincetown luxury homes, Provincetown new construction, Provincetown real estate. 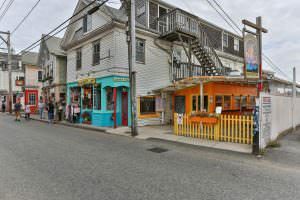 Downtown Provincetown – generally it is the area from the town center at Town Hall, West to Winthrop Street and East to Johnson Street. There is lots of activity in this neighborhood mostly as renovations and resales as there is so little space for new development. I have featured several properties for sale from $299K to $1.575M. Quite a range! 331 Commercial Street is a complex of buildings being renovated into waterfront condos. The developer has just launched four units to the market. The above picture is of the Commercial Street view of the complex. 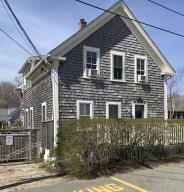 There are four beachfront stand-alone cottages, 331 Commercial St #7 , and 331 Commercial St #8. C331 Commercial St #7, $799K, 450 sf. 331 Commercial St #7, $799K, 450 sf. 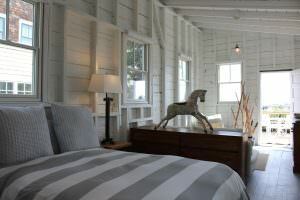 MLS REMARKS for #7: This is the freestanding beachfront cottage you dreamed about owning in the center of Provincetown. 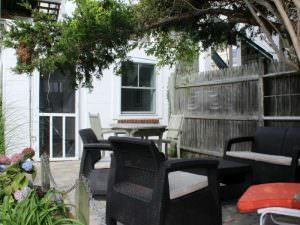 What makes it special: centrally located on the beach-side of Commercial Street; exclusive waterfront deck; new kitchen, bathroom, windows, siding, and split system offering heat and A/C; and just steps to the beach with unobstructed views of MacMillan Pier and Provincetown Harbor. This cottage is part of a newly developed association making it the perfect weekend getaway or income producing property. Weekly rentals permitted. Pets for owners. Listing courtesy of Kinlin Grover Real Estate. …and these two priced at $299K. 331 Commercial St #6, $299K, 160 sf. 331 Commercia St #5, $299K, 150 sf. 331 Commercial St #6 and 331 Commercial St #5. 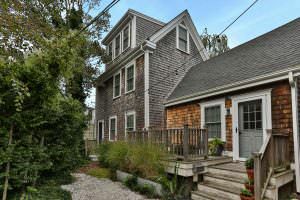 MLS REMARKS for #5: This is the freestanding pied-a-terre you dreamed about owning in the center of Provincetown. 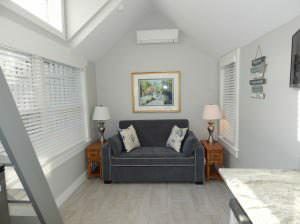 What makes it special: centrally located on the beach-side of Commercial Street; exclusive rooftop deck; vaulted ceiling with skylight; new kitchen, bathroom, windows, siding, roof, and split system offering heat and A/C; and just steps to the beach. This cottage is part of a newly developed association making it the perfect weekend getaway or income producing property. Weekly rentals permitted. Pets for owners. Listing courtesy of Kinin Grover Real Estate. 342 Commercial Street is a three bedroom three bath single family nestled in the charming downtown block between Commercial Street and Bradford Street. It has 1,544 square feet an is being marketed for $1.575M. MLS REMARKS: A Rare find! 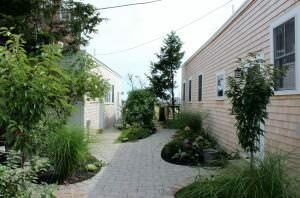 A stunning oasis in the heart of downtown Provincetown! This single family home is tucked away between Bradford and Commercial Streets and includes a highly coveted covered parking and an expansive outdoor entertaining space set on mahogany decking surrounded by lush gardens. 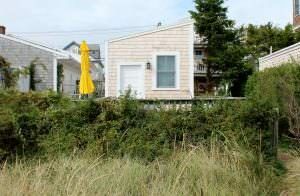 All this privacy only a few steps from the excitement of downtown Provincetown. This renovated home offers 3 bedrooms and 3 full baths, two of which are en-suite. Its airy, open design and many amenities, including multiple fireplaces, gleaming wood floors, vaulted ceilings and a strong connection to the exterior through numerous doors and windows, give the home a cozy, beachie feel. The main level is ideal for entertaining and has an open plan. Listing courtesy of Coldwell Banker Pat Shultz Real Estate. 284B Commercial Street is a three bedroom, two bath single family home between Bradford St and Commercial Street. It has 1,57 square feet and is being marketed for $989K. 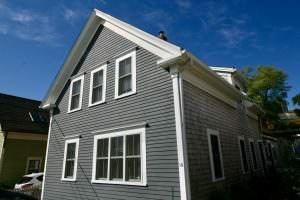 MLS REMARKS: Nestled between Bradford and Commercial Street in the town center, this 1,570 sf 3br/2ba condo was rebuilt in 2010 and lives like a single family home. What makes it unique: modern kitchen with Quartz counter tops; Bosch, U-line and DCS stainless appliances; open concept dining area; spacious living room with original refinished hardwood floors; in-home office; in-home laundry; custom built barn doors; and mahogany deck leading to an exclusive outdoor yard area. Other amenities include: ductless A/C; recessed lighting; Ann Sacks tile; Kohler fixtures; custom bathroom vanity; and built in ceiling speakers. This property lives like a 4br. The windows, roof, siding and mechanical equipment were new in 2010. Pets and rentals permitted. Listing courtesy of Kinlin Grover Real Estate. 355 Commercial Street #7 is a 282 square foot waterfront condo in Angles landing right in the center of town. It is being marketed for $339K. 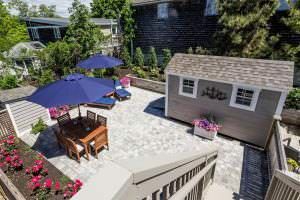 MLS REMARKS: Totally renovated! 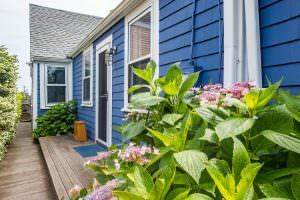 Everything is brand new in this quintessential summer condo at Angel’s Landing waterfront complex in the center of Provincetown. This sweet seasonal unit has a tall vaulted ceiling in the living room and a loft bedroom. The unit has a new kitchen with granite counters, soft closing cabinets and stainless appliances. A new tile floor covers a brand new subfloor that was recently built along with new footings under the unit and the bath is beautifully tiled. Enjoy the many common outdoor spaces, including a brick patio just outside the unit, plus your choice of two waterfront decks, just steps from the unit. 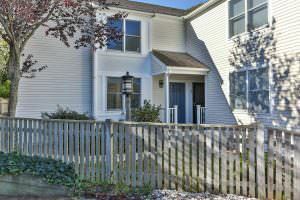 Great rental income with a solid history. 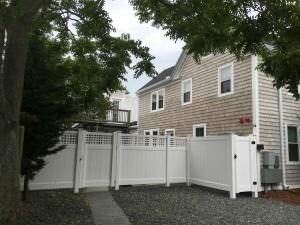 Deeded beach access, outside shower, common laundry, some storage. Offered furnished and equipped with few exceptions. Listing courtesy of Atlantic Bay Sothebys Int’l Real Estate. 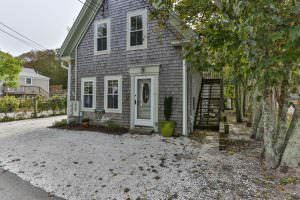 A gallery of recently sold properties illustrates the wide range of prices and styles that are available in downtown Provincetown. 18 Standish St #C, SOLD, $395K, 1/1, 562 sf. 22 Alden St #2, SOLD, $490K, 2/1, 545 sf. 220 Commercial St # 3, SOLD, $574K, 2/1, 909 sf. 9 Conwell St #2, SOLD, $600K, 1/2, 1,314 sf. 32 Alden St #1, $690K, 2/2, 1,126 sf. 15 Winthrop St # C, SOLD, $700K, 2/1, 620 sf. 23 Winthrop St # 3, SOLD, $1.1M, 3/2, 1,371 sf.